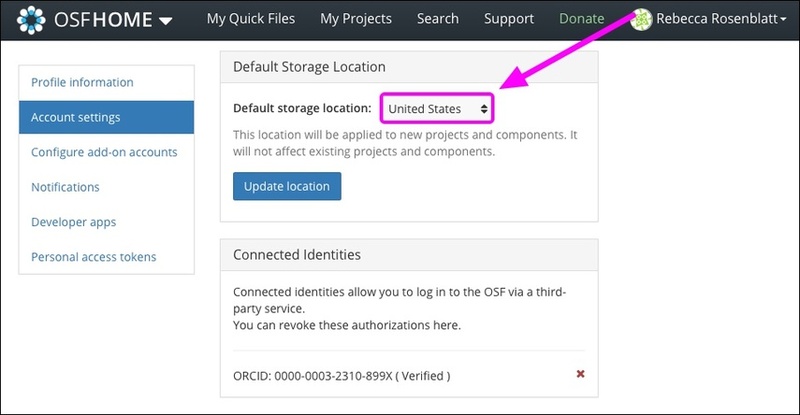 You can choose a default storage location for your OSF Storage. 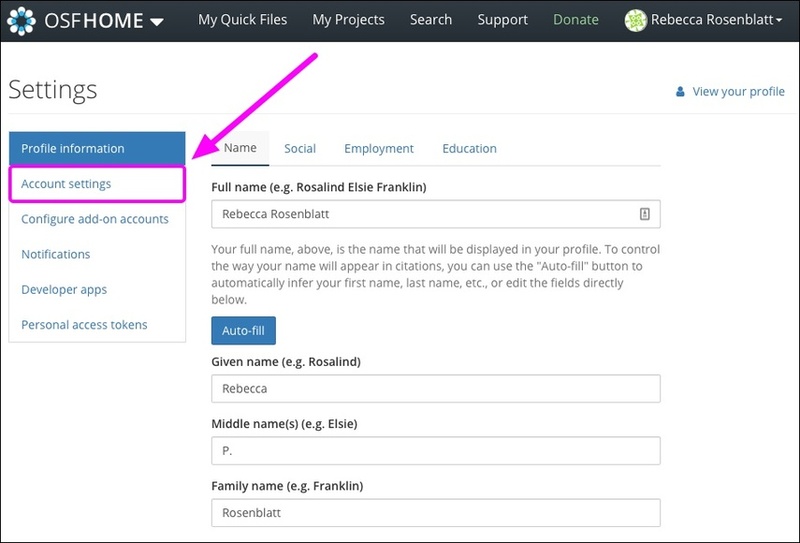 For example, your institution may require that data be stored in the EU to comply with storage regulations. 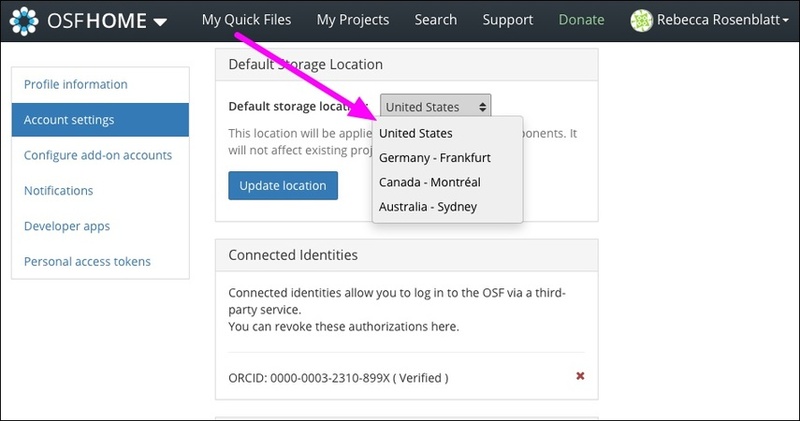 If a required location is not listed, you can store your data in an Amazon S3 bucket, specify the region, and connect the S3 bucket to an OSF project, or reach out to support@osf.io to request a new location be offered. 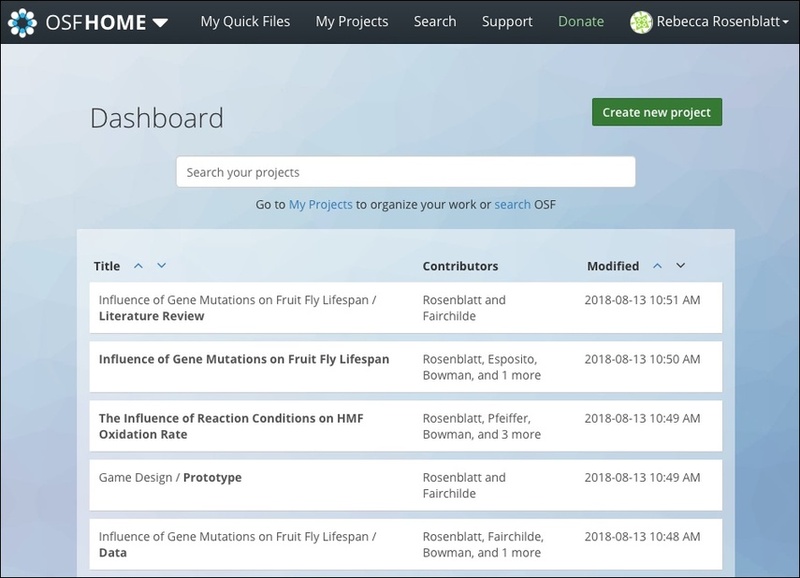 Click your name in the top right of the page, then select Settings from the drop-down menu. You will be taken to your settings. Click Account Settings from the left sidebar menu. Scroll down to the "Default Storage Location" section. 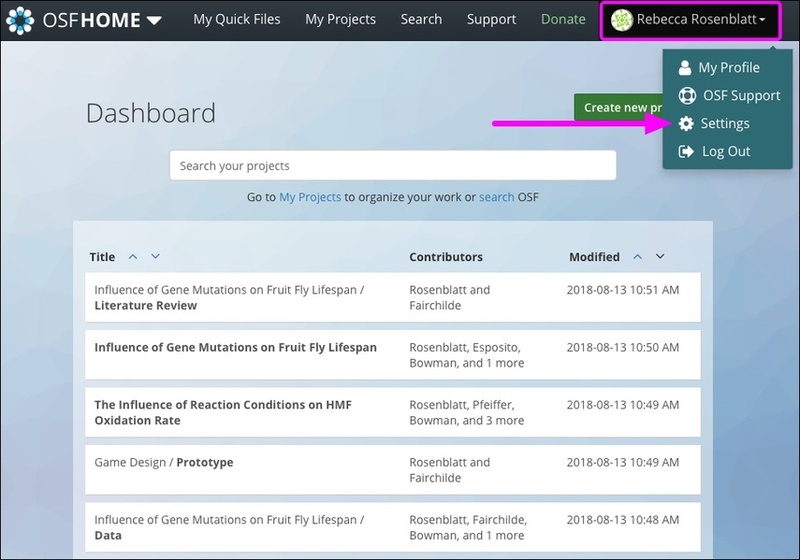 Click inside the Default storage location menu. Then click the Update location button. 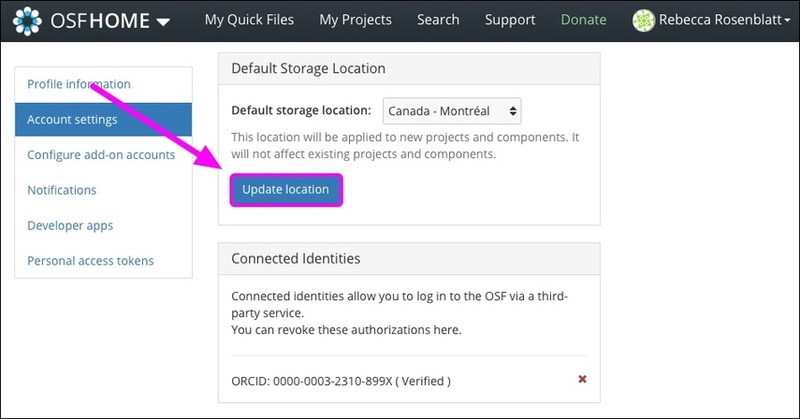 Your OSF Storage will be set to the selected location for newly created projects going forward; different locations can be set on a per-project basis upon creation.